Foundation for new residence to replace 1991 firestorm loss. 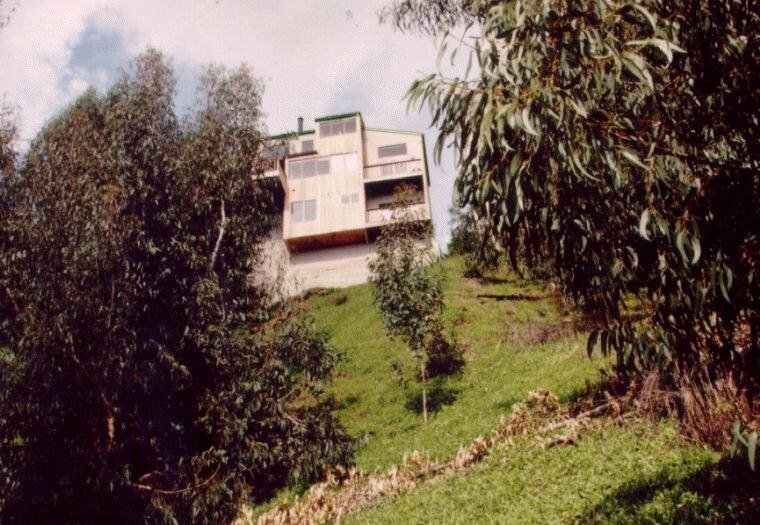 Integration of new additions to upgrade remaining 1960s foundation system on steep site overlain by ancient debris flow. Stereopaired airphoto analysis of 1939-1991 overflights. Subsurface geologic soil and rock exploration. groundwater investigation of site by hand excavated deep and narrow test pits. Site evaluation, foundation and subdrainage design recommendations. Earthwork, foundation, and drainage construction verification for Richard Whitaker FAIA, owner/architect. Art deco apartment house at the base of Alta Street undermined by rockfall adjacent to Filbert Steps down to Levi Plaza. Slope below was formerly Gray's Quarry, where stone was mined for building of Embarcadero Seawall and to ballast empty ships departing San Francisco. Evaluation of stability of graywacke cliff above Filbert Landing. Independent verification of Degenkolb design and SEC construction of new City wall on Alta at head of cliff. 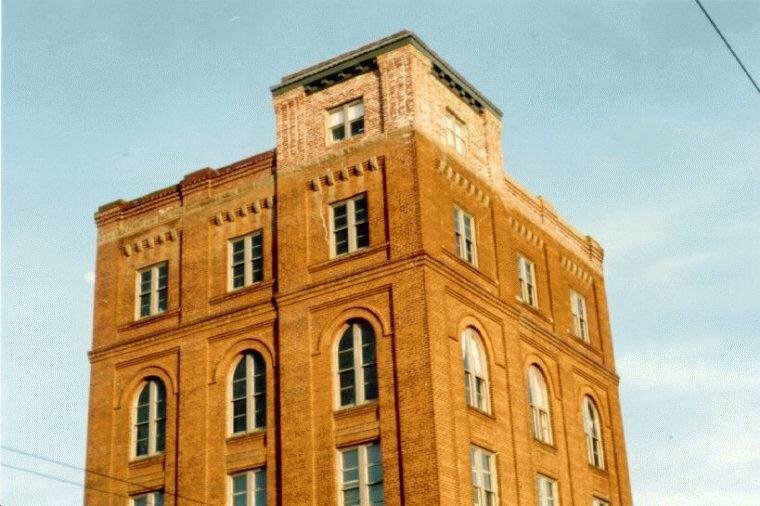 Loma Prieta earthquake in 1989 damaged historic Jackson Brewery building, prior to 1894 the Star Malt House, which had been reconstructed in 1912 after being destroyed in the 1906 earthquake. Sandstone blocks and brick foundation system. Subsurface exploration program and foundation investigation to determine appropriate supplemental foundation additions to support propped shear frame to upgrade unreinforced masonry building. Drakes Bay levee spreading caused tipping of dock piers with lateral movement and subsidence of building foundations. Subsurface investigation of levee foundation and slopes, building pads, docks and foundations. Evaluation of organic content and in-situ density of fills. Generic design of concrete caisson and anchored sheet pile bulkheading to contain levee and provide subjacent support for buildings. Wood pile foundations for brick buildings on Brimmer Street, foot of Beacon Hill near Trinity Church, for City with Meehan. Granite pile caps dropped due to marine borer attack on 1890s piles meant to be permanently submerged but exposed to air. Similar to Venice where wood foundation deterioration has been occurring for centuries as sea level dropped. Dewatering at church during foundation remediation caused subsidence and separation of old City sewer piping with groundwater loss into open joints. Drop aggravated by local drainage of basements remodeled for habitation. Lowered groundwater table exposed pile tops originally cut-off at MSL +5 feet, highest allowed by City in more than 100 years. Slope failure into Matanzas Creek near winery. Subsurface exploratory program including MinuteMan drilling, undisturbed sampling, and laboratory testing of samples. 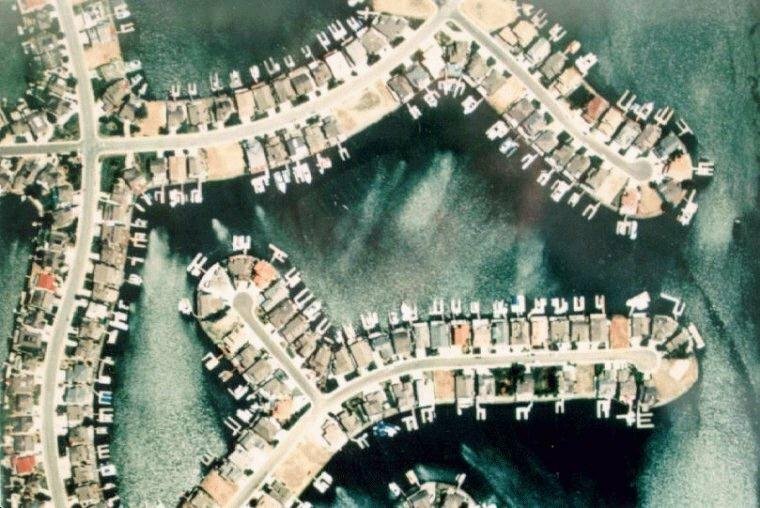 Airphoto analysis, earthwork and subdrainage recommendations for repair. Schematic drawings for construction and production of design report. Determination of former contents of prohibition-era underground concrete tanks on vineyard property adjacent to home of original grower. Cutting, sampling, and laboratory testing of cores taken from tank walls. Grape or wine storage critical issue in assessing history of wine making by the Gallo family. 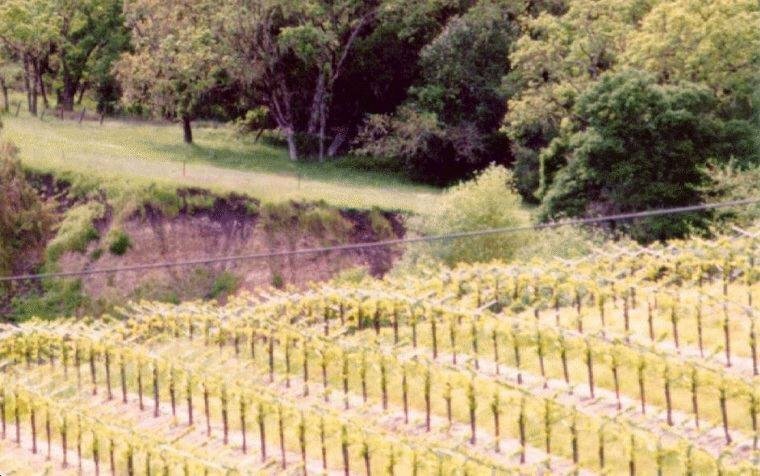 Investigation into the groundwater hydrology and mechanics of the Love Creek Landslide in Ben Lommond, Santa Cruz County that occurred on January 5, 1982 following the "500 year storm" of January 3, 1982 that dropped 23 inches of rain in the subsequent 24 hour period. 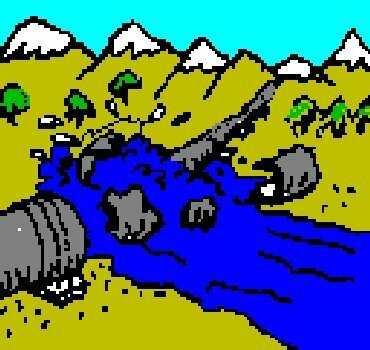 The Love Creek Landslide, on the basis of the number of lives lost (44), was the most destructive, naturally-induced landslide disaster in the history of California. 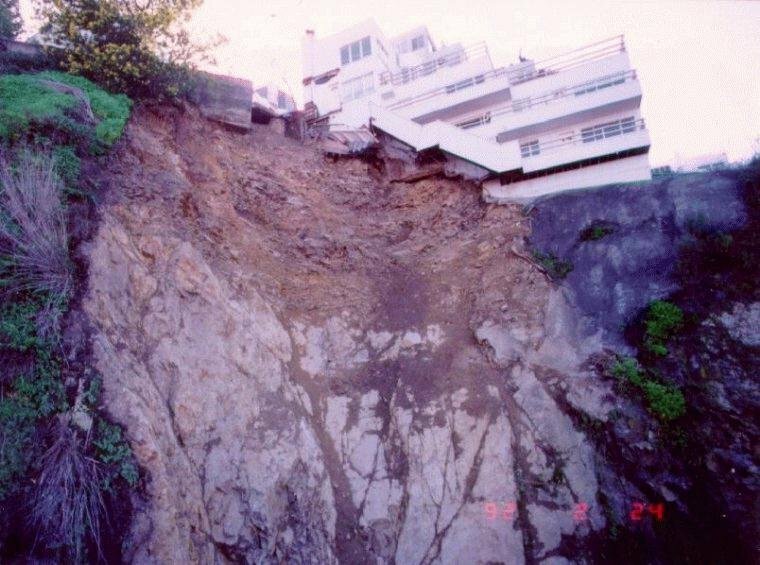 Slope stability calculations to determine the effect of prior grading of a zig-zag road up the 2,000 foot wide slope that failed, resulting in moving downslope of more than 500,000 cubic yards. Rupture of a huge articulated penstock under high water pressure delays completion at PG&E's Helms Pumped Storage Project, causing more than $50 million damage. Major dispute between US Steel and PG&E over responsibility for design, fabrication, and construction. Technical issues focus on complex soil/structure interaction and resulting structural response of the foundation, a reinforced concrete slab supporting cradles for coupled pipe sections with a flexible jointed and roll-out section that comprised the pipeline that crossed the canyon. Circular cellular structure of high strength concrete and unbonded tendons for use as petroleum production platform and storage tank in ice stressed Chukchi Sea north of Bering Strait. Critical design parameters were ice and wave forces, and eccentric foundation loading due to ice and wave loads, and naval architecture of structure as vessel under tow. Construction logistics included manufacture, rising, floating, towing, positioning, and setting on the sea floor in the hostile environment. 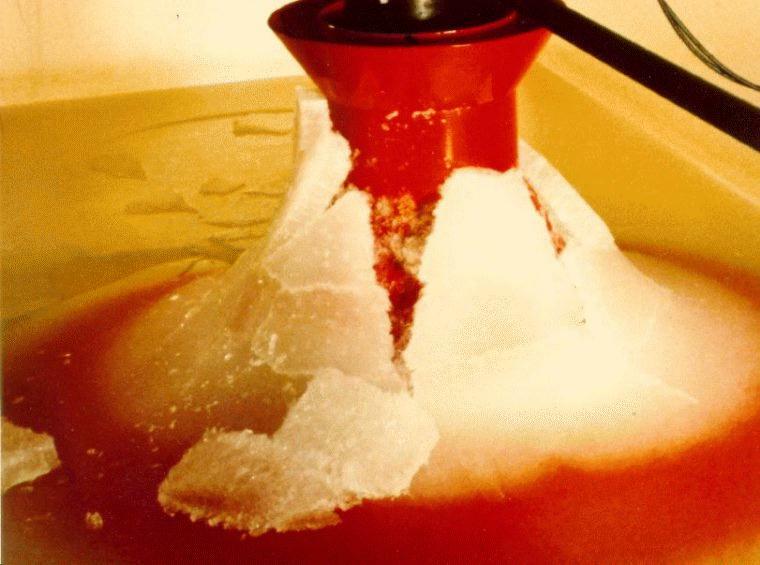 Concrete designed to resist impact and loading of sea ice sheets and pressure ridges by failing the ice by bending and crushing against conical surface. Scaled model tests to predict ice forces on structure, modes of sea ice failure, ice adhesion and abrasion. Design criteria: Icebreaker Experience as a Guide to Sea Ice Forces on Structures. Pile design suitability investigation at the Port of Portland's Swan Island Ship Repair Yard, pier and wharf structure, in the Willamette River. With Gerwick, Bresler, and Duncan. Site underlain by Troutdale formation (dense gravel), composite piles failing during driving. Load-moment interaction calculations for 24" hollow octagonal prestressed concrete pile section. Wave equation analyses by dynamic measurements of driving resistance for 390 square inch/14HP39 composite "stinger" piles. Failures found to be occurring at weak splice connection; welds at 8-#8 embedded dowels to HP stinger bearing plate inadequate. Investigation of Navy Regunning Mole cellular cofferdam constructed during 1940s to service battleship mounted 5 inch guns. Liquefaction study of hydraulic fill, and corrosion evaluation of sheet piles deteriorated in surf zone by seawater attack and stray current concentrations from cleaning and welding during patching, and 1970s use as Westinghouse's Surface Launch Test Complex. With B. Gerwick, A. Blaylock, and L. Kulchin. Exploratory borings and cribbed test pits below GWT, recommendations for mitigation, repair, and reconstruction. Breakwater "Dolos" armor, 4751 (40 ton/15' long & 60 ton/17' long) units designed by Omar Lillevang, monolithic flukes and shanks cast in steel forms at a rate of 44 per day, cured, and placed at the Humboldt Bay jetties. Gray Dollose were either non-reinforced or nominally reinforced with cages at 0.34%; brown Dollose were fiber reinforced. Experiments determined that using steel or plastic fibers could not be uniformly dispersed and that workability at the required water/cement ratio was reduced. Photo-elastic stress analysis proved that unreinforced 40 ton units were most advantageous. Site investigation and construction logistics for construction of precast prestressed concrete shell in a dewatered graving basin. Shell fitted with precast concrete panels to become cellular caisson structure. After construction, basin is flooded; floating caisson is then towed through the Golden Gate to be positioned near the Farralon Islands to serve as a storage tank and base for offshore transfer tower. 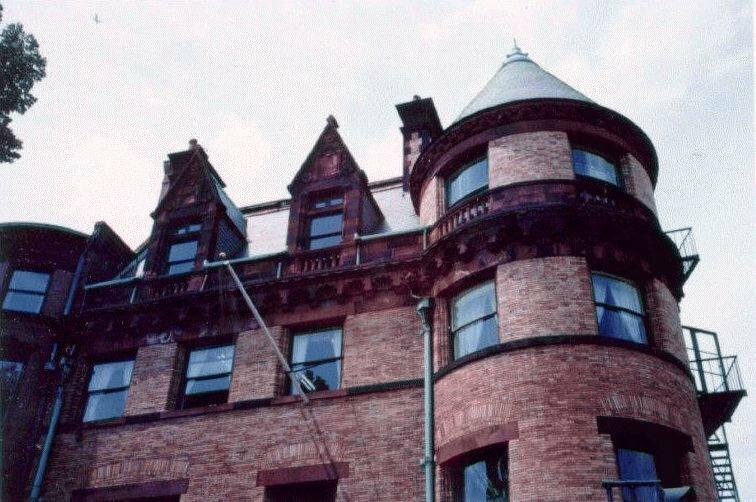 Return to Lawrence B. Karp Consulting Engineer "Past Projects"